For most collisions that cross my desk, the driver of one of the vehicles is totally to blame. It happens all the time, with distracted drivers blowing stop signs, crashing their vehicles into the back of lines of stopped traffic, pulling out directly in front of an oncoming car to make a left turn on a green light, the list goes on and on. There is absolutely nothing that the innocent driver in those scenarios could have done to avoid the collision. In some cases, though, there is something that each person could have done to avoid the collision. In those cases, there must be an assessment of fault. If fault is assessed equally between you and the other driver, you are entitled to recover 50% of fair compensation for your injuries and losses. If the other driver is 75% at fault, you recover 75%. If you are the most at fault, i.e. the other driver is only 25% at fault, you recover that smaller percentage of fair compensation for your injuries and losses. I am going to give you one example of a shared fault scenario that I have encountered a number of times in my practice. Put yourself in the shoes of a motorist pulling up to a red light, intending to turn right. If there is no cross traffic, you simply pull up, glance to your left to be sure no one is coming and carry on with your turn. Otherwise, you sit there looking over your left shoulder until there is a break in traffic and away you go. Did you miss a step there? Now put yourself in the shoes of the cyclist. Yes, the rules of the road require you to ride on the street with the cars, but you are uncomfortable sharing the street with cars so you ride on the sidewalk. Perhaps you are a young person and your mother insists that you ride on the sidewalk. You are riding on the “wrong” side of the street, i.e. facing traffic, approaching an intersection. You are facing a green light. You see a car coming from your left. Even though you are facing a green light, you stop to activate the pedestrian walk signal. You see the car slowing down. As soon as the walk signal is activated you proceed to ride into the crosswalk. The motorist hits the gas to merge into a break in cross traffic just as the cyclist is in front of the car. The cyclist is knocked over and injured. The missed steps of each participant in this scenario are identified in the reasons for judgment of Madam Justice Fenlon in the case of Callahan v. Kim. 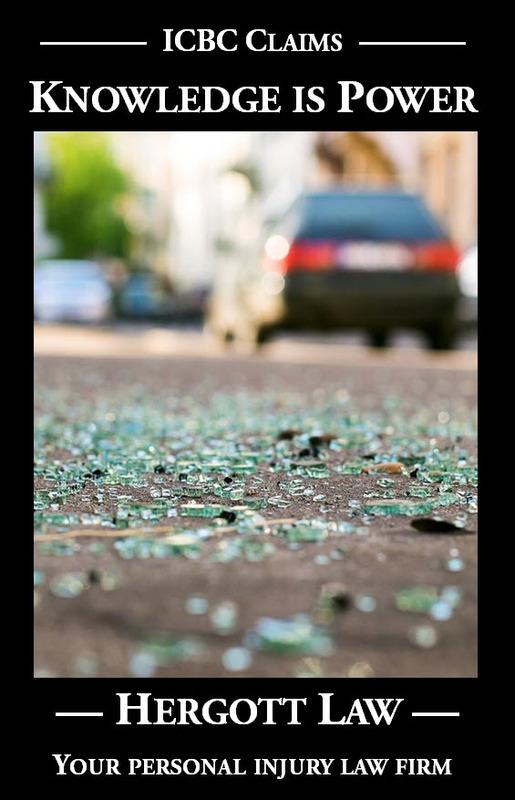 Your missed step as a motorist was failing to look again to your right to ensure pedestrian traffic had not entered the crosswalk while you were sitting there, looking over your left shoulder, waiting for that break in cross traffic. Your missed step as a cyclist was failing to catch the eye of the motorist before riding in front of the car. It would have been incredibly prudent, but not legally necessary, to do the same thing as a dismounted pedestrian, but given that the cyclist was breaking the law by riding into a crosswalk, Madam Justice Fenlon found the cyclist at fault as well. Fair compensation for Mr. Callahan’s injuries was assessed as $248,284.00, so he received 85% of that, or $211,041.00. One of my reasons for this column is to explain how shared liability works. The other is to identify a traffic scenario that happens more often than we think so that we can all watch out for it. How often do you pull up to a corner, look left for a break in traffic, and forget to glance to your right before proceeding? In Canada the cyclist has no right to the crosswalk unless he is OFF the bicycle. He is considered a motor vehicle. He crossed in the wrong place against a red light. If anything it should be 85-15 the other way. Interesting view. I invite you to read the carefully considered decision of the judge to learn the law of British Columbia (I don’t know about the law of the rest of Canada): http://www.courts.gov.bc.ca/jdb-txt/SC/12/16/2012BCSC1615.htm.